The transgender individual, especially the trans woman, is often in need of voice modification. After all, use of testosterone by transgender men helps to make their voices deeper. However, estrogen taken by transgender women typically does not make their voices higher. Even if you opt to have laryngeal surgery, it has been found that voice training before and after surgery is more effective than just surgery alone. Of course, pitch isn’t the only aspect of voice that determines if you sound masculine or feminine. Other factors include vocal resonance, volume, intonation, and voice quality. But even beyond the voice itself, there are many factors that, if incongruent, can cause someone to be misgendered. These can include posture/alignment, how you walk and sit, use of gesture and facial expression, speech articulation, speech rhythm/flow, and use of certain vocabulary and grammatical constructs. Could it be that some of these issues cause you not to pass in your desired gender presentation? In today’s sometimes-challenging society, a voice that doesn’t match your gender identity may even lead to harassment, discrimination, or safety issues. Clearly, achieving authenticity is an important goal, but it may seem overwhelming to have to deal with all the above-mentioned factors, along with the physical issues of hair restoration, facial feminization and gender-affirming surgeries. So, let a trained communication specialist guide you through this process. At the Professional Voice Care Center, we offer a comprehensive holistic program that covers all aspects of feminine communication style. This includes voice pitch modification and development of more gender-appropriate inflection/intonation, articulation, gestures, facial expression, vocabulary and grammatical style. Posture/alignment, relaxation strategies, breath control, and reduction of voice-related muscle tension are also covered. (If you’ve tried to modify your voice on your own using YouTube or other DIY videos, you may have already encountered vocal strain. We fix that, too!). We also support your psychosocial well-being. All our services are delivered in a safe, supportive, and welcoming environment here at our Center, or even using telepractice (i.e., online service delivery). 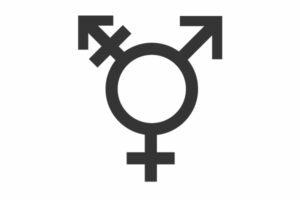 Our goal: to help our transgender clients develop comfort and confidence using a new style of communication that conveys authenticity and congruence. Let us help you express your true self!